Blur Busters Forums • View topic - Is this level of banding acceptable for pg278qr ? Is this level of banding acceptable for pg278qr ? I just got this today, I know this is no color manipulation monitor, but I'm trying to figure out if I should rma this one. I just need to make sure I am not setting myself up to disappointment with another one, but this is getting a bit ridiculous. This will be like, the 5th monitor I have to RMA, ive both tried every monitor I though was worthy but ended up not being so, and 2 of this one... I think amaozn is still cool with it, but im not even sure if I can aspire to better colros at this point. For games, i kinda think I might have firugred out a solution, reshade seems to do the trick for colorbanding, but I cant find a solution for videos. Re: Is this level of banding acceptable for pg278qr ? The first photo looks a texture issue. Maybe streaming? Also, you didn't mention it, but in case you didn't know or were curious about, the yellowish tint is just the anti-glare coating. Unfortunately, the (TN) panels that PG278QR monitors come with just aren't ideal for color reproduction. However, a color calibration done with a cheap colorimeter and open source calibrating software for better accuracy does wonders for getting better balanced, more uniform colors. I reckon this is it then, huh? I have read that this is the best panel for TN color reproduction. Why is it so hard to find a decent display nowadays... if its not the VA panel ghosting its the TN color banding, or its the lack of good refresh rate. When can w expect monitors with at least a decent ammount of everything? I cant look at this monitor for anything except videogames, because even youtube looks absolutly terrible, it essentially negates any resolution quality. If you could post links to the original images so I can check them, that would be useful. You will have to forgive my ignorance, but what do you mean links to the original images? Do you mean the original greyscale tests? Are the imgur links incorrect? Thanks for all of your help. I really appreciate it. The first image seems to be a photo of your monitor watching a video. 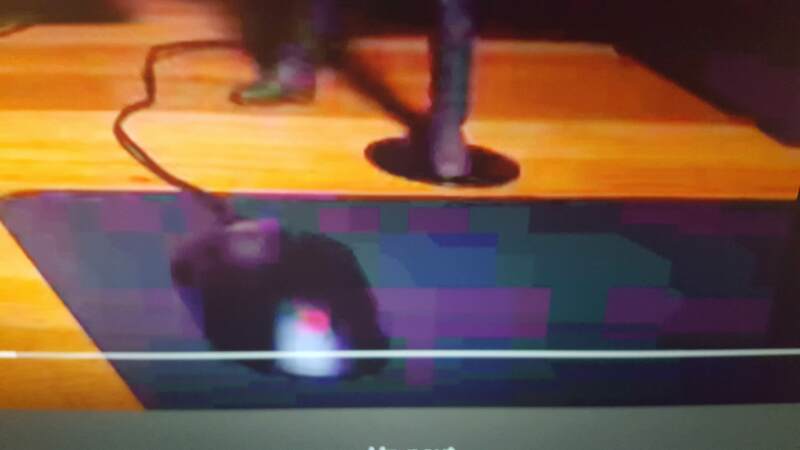 A link to that video is needed so we can tell whether the banding is due to the video or the monitor. As for the banding test, try and download the test image (right-click on the image, then "save as") and view it in something like IrfanView, and make sure you view it unscaled. Meaning not zoomed in, nor zoomed out. I have found that many browsers don't display images correctly, because they apply wrong gamma transformations. Also, if you zoom the image in or out, there will be banding. That's completely normal. Banding tests must be viewed 1:1. Any kind of scaling will introduce banding. So also make sure you configure Windows to not use DPI scaling (set it to 100% for the test.) Right-click on the desktop, and select "display settings." Make sure to log out and back in from Windows when you change the scaling setting.